This is a rough translation from this information first made by Javier Brassesco. The "Law of Integrated Waste Management and Solid Waste" was approved in January (first discussion), and several organizations are waiting for the National Assembly's invitation to participate in the "street parliamentarism" a prerequisite for the second discussion. The Venezuelan Confederation of Industries (Conindustria) made a very technical analysis of this law in its website (www.Conindustria.org) where it identified a number of inaccuracies and inconsistencies and suggests amendments to some of its 164 articles. There is clear that one of the items of greatest concern to the industry produces is number 42 of this law, which establishes that "(...) the producers, distributors and marketers of consumer products must implement programs return to ensure the effective reuse or recycle 100% of their packages within three months. " In Conindustria argue that this obligation cannot be followed, because the country lacks the capacity to process recycle all packaging produced, let alone in the midst of a national electricity crisis. 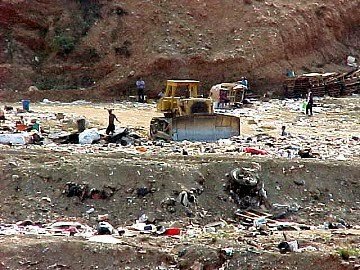 The main complain is because it represents an attack on the producers of goods, while some punitive provisions (Article 151) are described as exaggerated , which among other things talks about the partial or total occupation of those places where inadequate waste management is carried out.